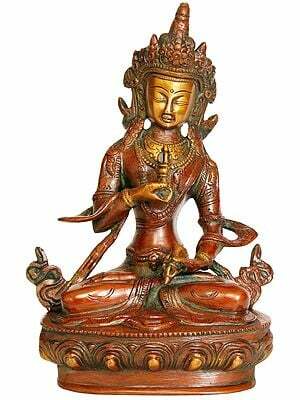 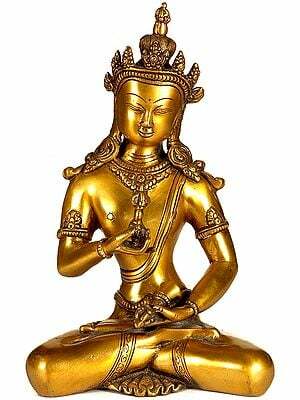 Vajrasattva is a Buddhist archetype deity. 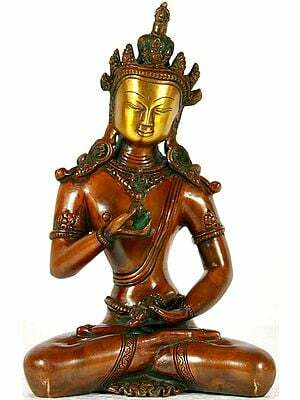 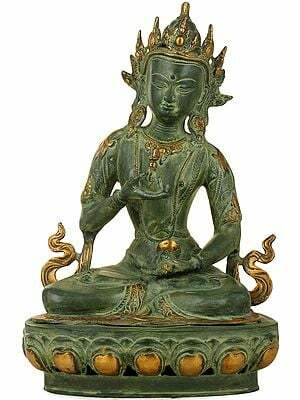 Like Manjushri, Avalokitesvara, Tara, and the other celestial Bodhisattvas, he is a Buddha who persists in a Bodhisattva form to help beings on the path. 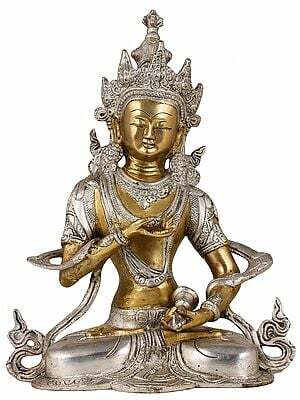 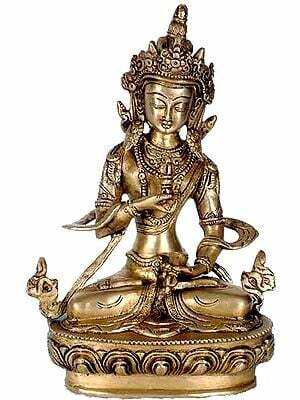 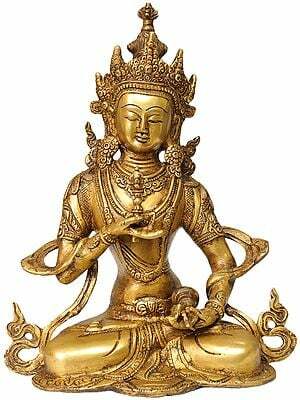 Sattva means "extremely pure" and vajra (diamond or thunderbolt) is associated with power and maleness. 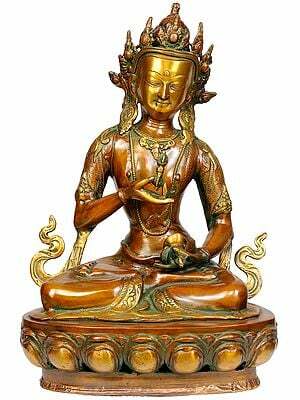 Vajrasattva is the subject of many hymns and verses. 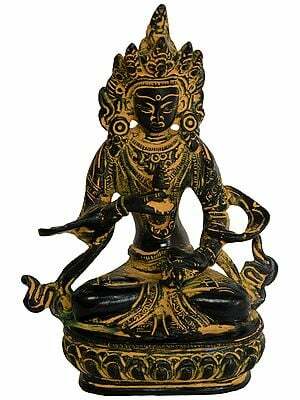 He is supplicated in the special yoga of repentance that employs his special, well-known hundred-syllable mantra. 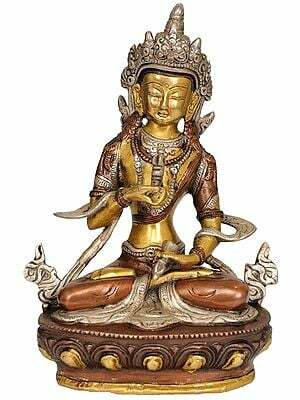 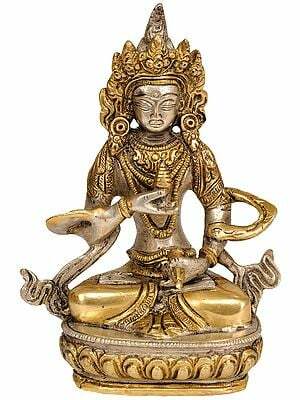 He is represented seated in the dhyana asana (posture of meditation), holding a vajra before his heart in his right hand and a bell in his left hand, which rests akimbo on the left thigh. 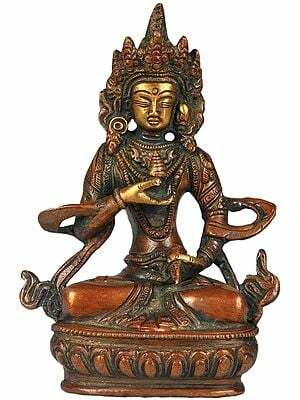 The vajra and the bell are symbolic of male and female, compassion and wisdom, magic body and clear light, respectively, depending on the level of reference of the symbolism. 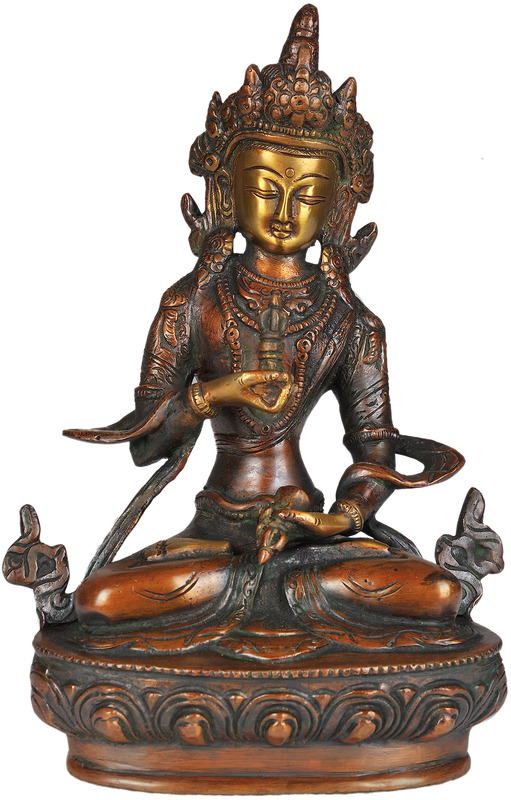 10.0" X 6.5" X 3.5"